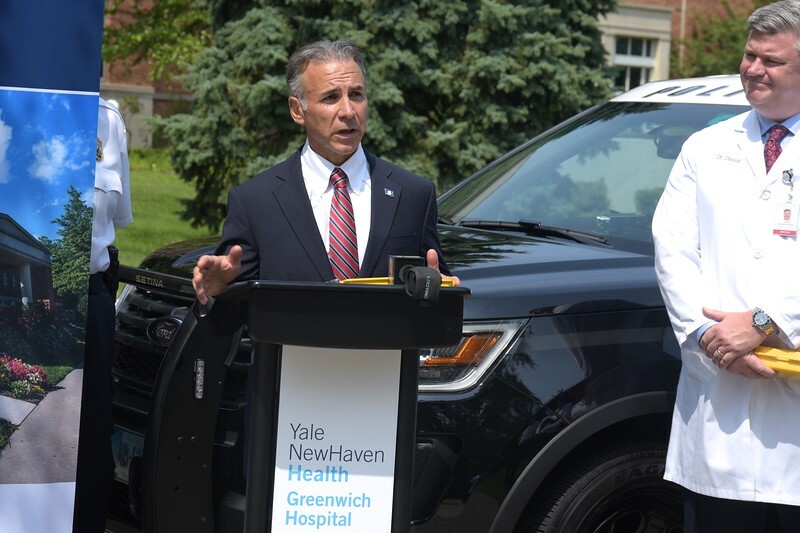 Rep. Fred Camillo joined local and state leaders at Greenwich Hospital on August 27 where the organization’s president and CEO formally donated $5,000 of Narcan to the Greenwich Police Department for use in the patrol vehicles. Narcan is a medication that can reverse the effects of opioids during an overdose. The opioid crisis has taken its toll in Connecticut resulting in more than 1,000 in 2017. Camillo hopes that timely intervention by first responders and legislative efforts can help combat the epidemic and save lives.